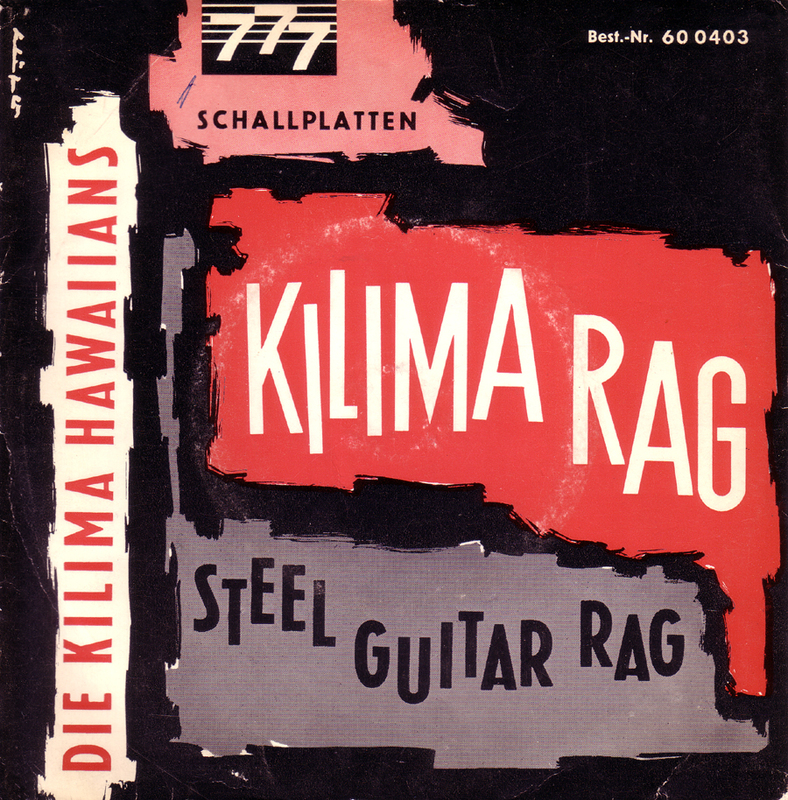 Rudi Wairata played steel guitar with the famous Kilima Hawaiians on this one. 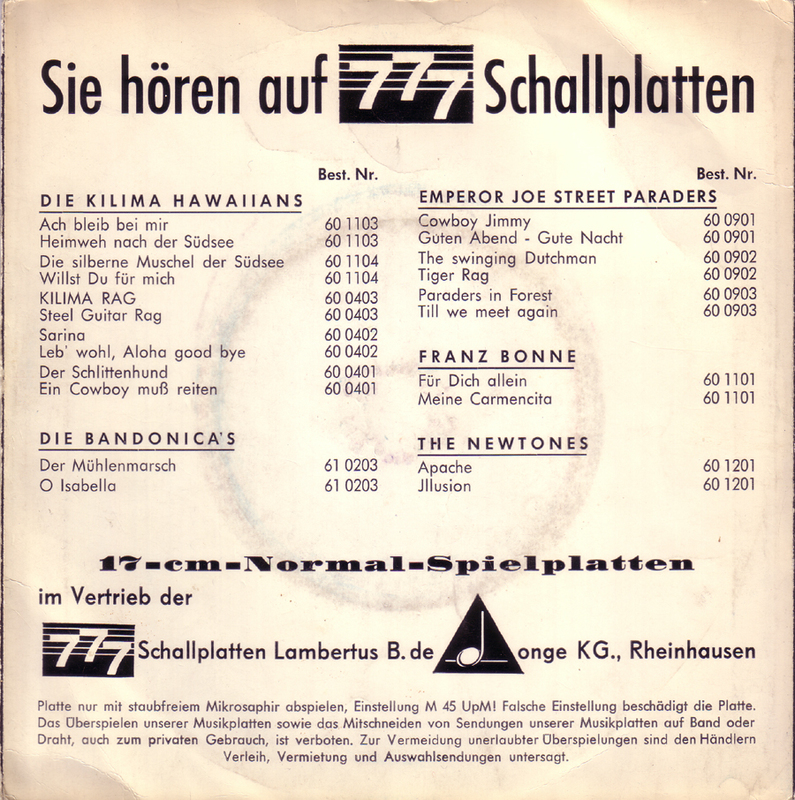 They had a hit with “Es hängt ein Pferdehalfter an der Wand” in Germany in 1953. These two songs are the most rockin` ones of this batch. 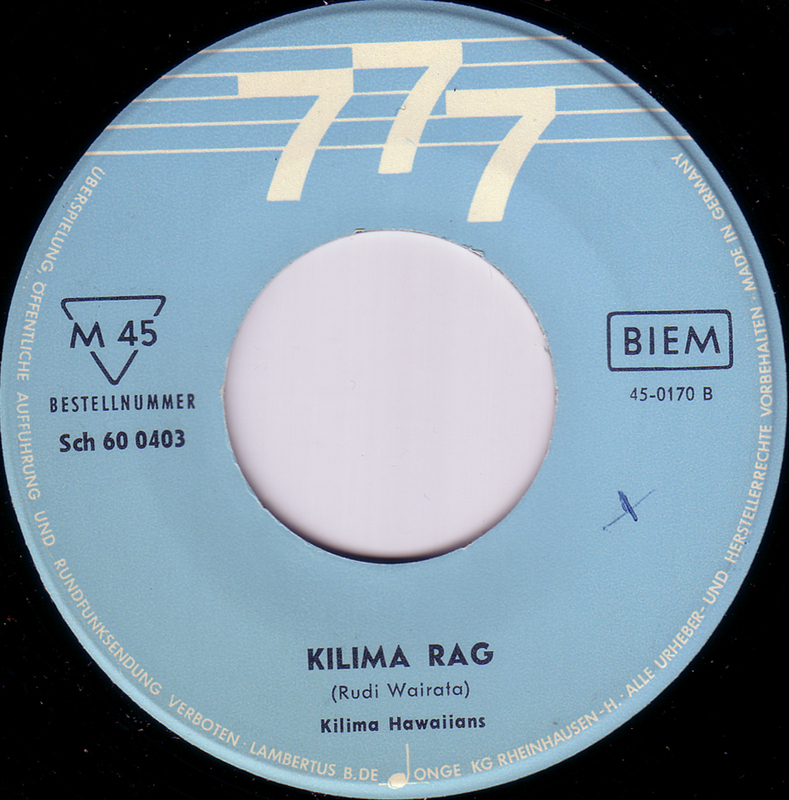 Not from Germany but published on the small German independent label 777 from Rheinhausen.